The Labour Campaign for Free Education | Labour Party members for free, accessible, and publicly funded education. Labour Party members for free, accessible, and publicly funded education. So you’ve joined the Labour Party eh? You’re new members of the Labour Left. You’ve voted for Jez. You’ve maybe even appealed your membership rejection. But what now? Here is a brief introduction to how the Labour Party works, and what we think that left-wing activists should spend their time on. On 12 September we will find out whether Jeremy Corbyn is the next leader of the Labour Party. There is, of course, an increased reluctance to accept opinion polls at face value, so any optimism is still cautious. But whatever the result it is already clear that the Labour Party has changed. There has been a mass influx of 400,000 new members and supporters, of which 60% are thought to be ‘youth’. An unprecedented momentum has come behind the previously ailing Labour left, bringing with it great potential. But at the same time the situation is precarious: we urgently need to come together to ensure that these hundreds of thousands of new members and supporters do not vanish as quickly as they appeared. If Corbyn loses on 12 September, platitudes will be given about how valuable his contributions have been, but behind the scenes the party machine will have already sprang into action. The Parliamentary Labour Party has already learned its lesson and now knows the danger of allowing members any power. Proposals to make future elections ‘fairer’ and ‘more transparent’ will come forward while left-wingers are publicly expelled and made examples. The right-wing will try to compensate for the Party’s ‘summer of madness’ by posturing more rightwards still. In response, the sectarians in organisations like the Socialist Workers Party will say ‘I told you so’ and claim their point proven: there is no future in the Labour Party. Corbyn supporters will be demoralised. A few will leave and many more will simply lose enthusiasm. If Corbyn wins it will be better but still not without problems. He will hopefully move quickly to politically reposition the Party on the left and to introduce long-needed internal democratic reforms to empower members. However, while the Party rulebook gives plenty of authority to the Leader, the Parliamentary Labour Party will still wield a number of significant weapons. As has already been announced in the press, some MPs will launch a public coup against the new leader. Others will undermine him in more subtle ways: leaking criticism to the press and finding excuses to not co-operate. Even with a huge mandate behind him, the balance of power will be against Corbyn. He will only be able to drive through his policies and reforms, and maintain control of the party, if the membership is sufficiently mobilised. Huge pressure will be put on him to capitulate or to resign. No matter how principled, he will only avoid this fate if there is sufficient counter-pressure. Both of these scenarios share a common assumption: the Labour left does not change. The Labour left is, as it stands, weak. There are plenty of existing groups – Campaign for Labour Party Democracy, Red Labour, Labour Representative Committee, Campaign for Socialism, Labour Campaign for Free Education – and many more talented individuals. But on their own they are not enough. We do not currently have the infrastructure to support and channel the momentum and huge numbers that the Corbyn campaign has created. The Labour left must be relaunched, bringing together the different groups, activists and strengths that already exist to create something bigger. All the relevant groups should come together to launch a new Left. Exactly how this is done, or what it looks like, is up for debate. It must be democratic. This does not just mean policy conferences, elections and rules – although these are important. It means a culture of inclusiveness and accessibility where everyone shares responsibility and no one individual or group is in charge, where disagreements are had out in the open, and where everyone is prepared, on occasion, to lose the argument. It must be outward facing and campaigning. We do not need just another left-wing Labour Party faction. It is necessary but not enough to get left-wingers elected onto Party committees, or even into Parliament. We need a mobilised membership which campaigns on the issues that matter: education, the environment, housing, pay and working conditions, trade union rights, migration, discrimination and oppression. This will help us to build the Party and the left within it. But more importantly, if we want to implement the policies for which we have spent the past months arguing, then we will need to go up against powerful vested interests. We can only take on these interests with an active and mobilised population behind us. There is one area of the Labour left where I am confident that the move for improved organisation can proceed quickly. Throughout history, youth and students have often played a transformative role in times of social upheaval. Today we must play this role in transforming the Labour Party and the Labour left. We must lead by example, in a spirit of co-operation and comradeship, and relaunch the left in Young Labour and Labour Students. In Scotland this is already happening with the launch of Scottish Labour Young Socialists. Hopefully we can do the same for the youth and students across the UK and contribute to a reinvigoration of the left in the Party in general. The Labour Campaign for Free Education is calling a meeting in London of youth and students for the 20 September – a week after the election result – to begin discussions for a new youth and student Labour left on the basis of the two principles above. LCFE does not pretend to represent everyone. It has been backed by LRC Youth and the Scottish Labour Young Socialists. Other groups like the Campaign for Labour Party Democracy, Red Labour Youth and the Labour Young Trade Unionist Network should co-sponsor and throw their organisational strength behind it. I hope that the moves being made by left-wing Labour youth will have a positive effect on the wider Labour left too. There is great potential ahead of us. Let’s not squander it. The Labour Campaign For Free Education is appalled to learn of the barring of many people en masse from voting in the leadership election. This includes many longstanding Labour activists as well as people who have newly joined to fight the Tories since the election. Many rejectees are free education activists from organisations such as NCAFC, who have been dedicated to the fight for social justice, perfectly in line with “our aims and values”. The Labour Party should welcome these new members and what they have to contribute to our party. Their rejection undermines the hard work of many Labour Party activists in convincing others that the Labour Party is an effective political project to be involved in. The Labour Party should be proud that so many people feel the party is now their political home, as opposed to shamefully purging them just in case they vote the wrong way. The fears over ‘entryism’ are misguided and cover for an attempt to flatten a mass democratic event. Hundreds of thousands of people have signed up to be a part of the Labour Party, a sign that the party is reconnecting to the wider labour movement. The expulsions even go against the spirit of the leadership election as set out by acting leader Harriet Harman ““It [the leadership contest] is about actively reaching out to engage with people who did not support us, not just those who did.” It hardly needs pointing out that shutting the Labour Party off to thousands of activists, new and old, is a very strange way of ‘reaching out’. The legitimate ground for suspension is concrete: current membership of another political party. It is not the Labour HQ trawling through your social media looking for evidence of thought crime. It only goes to show the party Right have lost the political argument, but they haven’t lost the machine. This leadership contest is meant to be an opportunity to shape our future. We cannot let it be strangled by the machinations of the past. If you have been purged, contact the Compliance Unit (0845-092-2299) as soon as possible and challenge their ruling. The reasons given for people’s exclusion are in general extremely nebulous, and therefore very difficult to evidence. Add your name to this list ( https://docs.google.com/forms/d/1suH2QiYyld-kfrFLGLiL-E5bP8LE8pnNQeGKI0Ita24/viewform ) so we can continue to compile evidence of these shameful manoeuvres. If you are a Corbyn supporter, contact the Corbyn campaign (info@jeremyforlabour.com). Most importantly, kick up a fuss. This party belongs to the collective labour movement, not just the few people at the top who want to deny us our voice. The fight for party democracy continues. As the last month of the Labour leadership contest approaches, those of us watching with baited breath finally got to see some Actual Policies about education being announced this week. Liz Kendall pledged to “end inequality from birth” by extending early years education. Jeremy Corbyn announced he could make higher education free by increasing corporation tax by 0.5%. 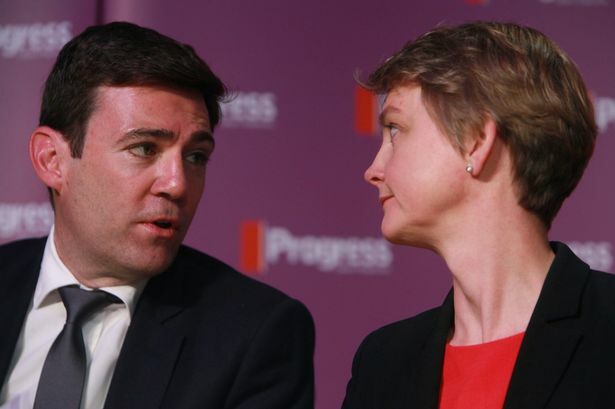 Yvette Cooper and Andy Burnham, clearly not wanting to stray too far from the middle of the road, announced that they would abolish tuition fees – in favour of a graduate tax. It’s good that the work the student movement has done over the past 5 years, combined with Corbyn’s (so far) successful campaign and leftward-drag on the leadership election, is having some sort of influence over what the other candidates are saying. And it’s indicative of that good work that Burnham and Cooper feel the need to disguise their policy and pose it as “abolishing tuition fees”, when in fact it isn’t that at all. Dressing up moderate policies with a left-wing headline in a bid to steal votes from Corbyn, whose ideas are dominating the leadership election, is nothing new for Burnham. Only a few days ago he announced that he is in favour of re-nationalising the railways, but take a closer look and you will see that actually, he just wants to lift the ban on public providers bidding to compete with private companies running the rails. A graduate tax isn’t good enough; it’s essentially a rebranding of tuition fees. Burnham claims he wants to “lift the millstone of debt” from students, but is actually proposing a very similar form of funding, through decades of deductions from graduate wages. While a graduate tax pushes the headline of a fee into the background, it still depends on the idea that individuals who receive the financial benefit of a degree should pay for the privilege. So what seems like a step forward – taxation rather than loans and debts – actually relies on the same logic: of education as an individual investment in a competitive market. Unless it is a tax to fund HE is on wealth itself (as Corbyn is proposing a form of), this represents little progress. The details of the policy are typically unclear; it is highly unlikely that Burnham and Cooper’s version of “abolishing tuition fees” would apply to students coming to Britain from outside the EU. Such mild reforms will do little to undo the damage the market is inflicting upon colleges and universities. The National Campaign Against Fees and Cuts will continue to challenge the rule of the market and fight for truly free education, funded by taxing big businesses and the rich. We will be encouraging students to vote for Jeremy Corbyn – the only candidate in the Labour leadership election to put our interests on the agenda. We the undersigned student and youth activists are supporting Jeremy Corbyn’s campaign for Labour Party leader. Whether it’s student fees and grants or the minimum wage, migrants’ rights or civil liberties, nuclear weapons or climate change, Jeremy Corbyn is the only candidate speaking to our concerns. We will build support for his campaign among youth and student organisations, including the young members’ sections of our trade unions. We encourage young people and students to sign up as party members or registered supporters to support and vote for Jeremy. Vijay Jackson, Hastings and Rye CLP, Hastings Youth Council, UNITE Community,Hastings Anticuts, Hastings Solidarity member, Hastings Independent. The Labour Campaign for Free Education attended the National Campaign Against Fees and Cuts Conference this weekend. Our National Committee member, Rida Vaquas, was elected onto their National Committee as the Further Education Rep.